Bryce King, a native of Midland, Texas earned his Bachelors Degree from Texas Tech University in 2006. 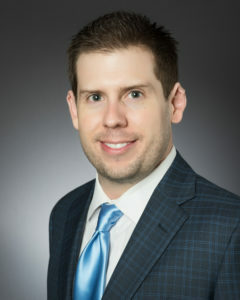 Mr. King earned his Law Degree from Texas Wesleyan School of Law (now Texas A&M School of Law) in 2011, where he was selected as the Commencement Speaker at his Law School graduation. Mr. King is licensed to practice in all Texas Courts, as well as the United States District Courts Northern, Eastern, and Western Districts of Texas. Mr. King has litigation experience in numerous areas of law including but not limited to family, civil, criminal, probate, personal injury, real estate, oil and gas, non-profit, civil rights, bankruptcy, administrative, and education law. Mr. King has been recognized several times for his legal acumen. Locally he was selected by his peers as a Ft. Worth Magazine in 2017 top attorney for civil litigation. He also makes regular guest appearances on WBAP radio to give legal commentary on topics ranging from family law to criminal law and civil litigation.